They've only been open for about a year, but already the Chippewa River Distillery and Brewster Bros. Brewing Co. has won some hefty awards for its ambitious remodel and quality spirits. Fortunately, their hard work has paid off. 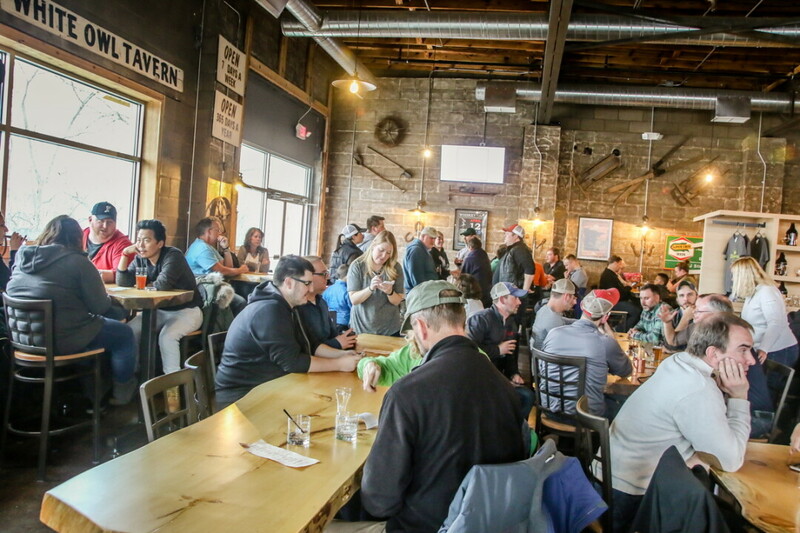 The brewery and distillery first opened in March 2016 at 402 W. River St., and recently won a Wisconsin Main Street Award for “best adaptive reuse project” for its $1 million renovation of the old Celebrity Video building. Not only that, three of the distillery’s spirits took home awards in the 2017 Denver International Spirits Competition: a silver medal for Trumie’s Vodka and bronze medals for Chippewa River Distillery Vodka and Chippewa River Distillery Rye Whiskey. Both the Chippewa Falls business and consumer communities have embraced the unique production brewery and distillery, the first (and to date, only) of its kind in the Chippewa Valley. “We’re excited to be a part of these positive developments in the community,” Stirn says. Among his favorite reasons for having a business in Chippewa Falls, Stirn cites small-town values, the city’s infrastructure, and new developments that are making Chippewa Falls even more of a tourist destination. And because the microbrewery/distillery is on a main drag, the staff gets to meet a lot of interesting people. And what about Leinenkugel’s, the giant beer neighbor? Going forward, the team at CRD & Brewster Bros. will continue to make the same great beers and award-winning spirits, as well as seasonal and new beers. Pub crawls, release parties, tastings and other engagements will keep going as well. The business currently distributes beer and spirits in northwest Wisconsin and has plans to expand into the northeastern part of the state. Look for them in local bars, restaurants, and stores.